New versions of wireless technology standards aren’t often a big deal, but Bluetooth 4.2 is looking to change that with a major boost for home automation, along with privacy enhancements. The new spec allows Bluetooth devices to connect to the Internet through newer home routers supporting IPv6. This should drastically simplify home automation, as it would avoid the need for dedicated Bluetooth hubs or devices with built-in Wi-Fi. Why this matters: One of the big problems with home automation today is that each service sells its own proprietary hub for connecting smart light bulbs, switches and sensors. 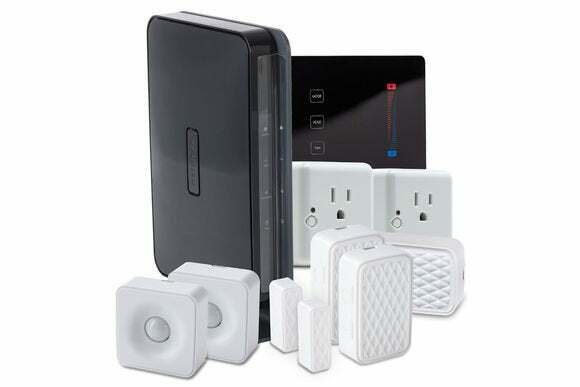 This adds to the cost and complexity of home automation, because users may need multiple hubs to connect all the devices they want. Bluetooth 4.2 should cut down on the overhead, so that even if two groups of products don’t talk to one another, you won’t need separate hardware to manage them. On the privacy front, Bluetooth 4.2 includes new protections against Beacons, which can locate and send notifications to nearby Bluetooth devices. Some retailers use Beacons to track and alert their shoppers, but with Bluetooth 4.2, users will have to opt in to the specific alerts they want to see. As EETimes reports, this could work by having users download an app that effectively whitelists the store in question. Bluetooth 4.2 also uses new encryption and hash algorithms to protect wireless communications. In addition to the new features, Bluetooth 4.2 data transfer should be up to 2.5 times faster, and connections over Bluetooth Smart (also known as Bluetooth Low Energy, used by smartwatches and fitness trackers) should be even more power efficient than before. The new spec is out now, though some of the new features (including Internet connectivity) won’t land until later this month or early next year. In any case, we probably won’t start seeing phones, tablets and smart devices with Bluetooth 4.2 on board until later next year.